Price: $164.99 includes standard buckle. Thickness: approx. 4 mm (2 layer). 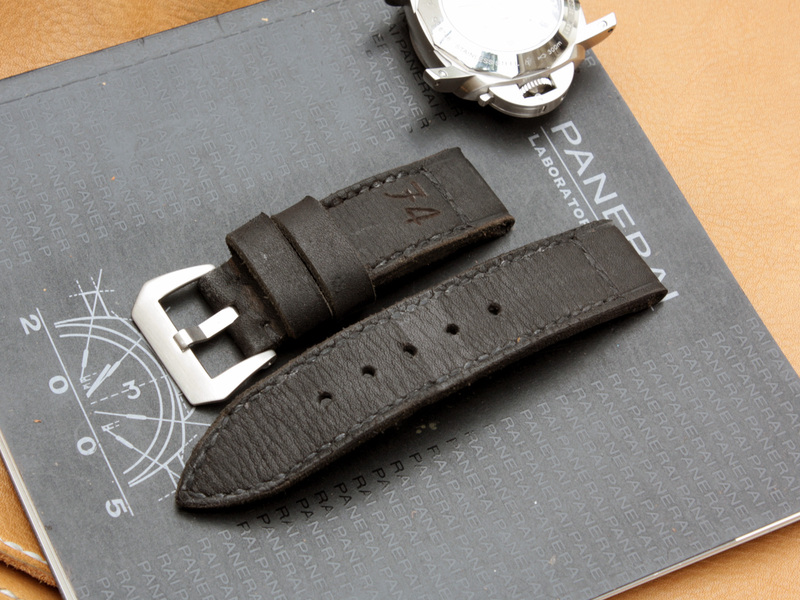 Style: Rugged vintage, cracked leather, raw-cut edges, with number "74" burnt on strap. 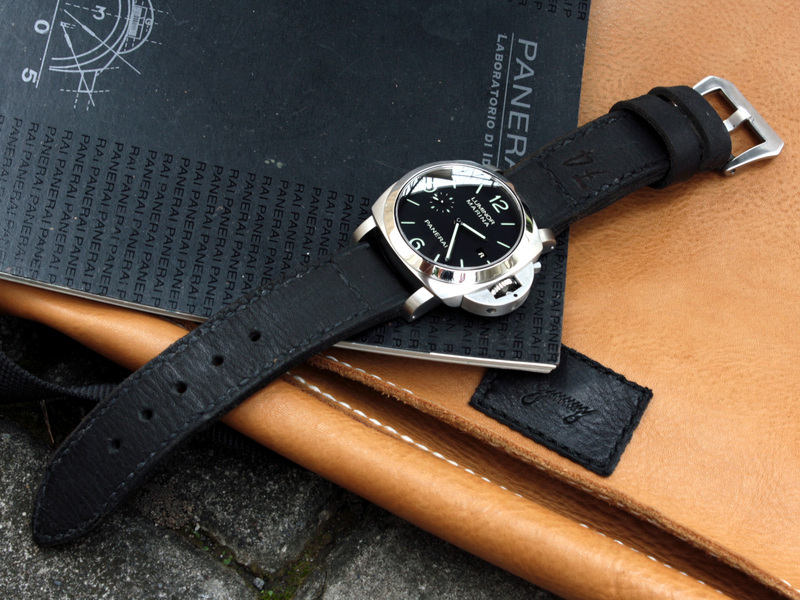 The leather is very dry and a bit rough on surface. If you want pointy tip like this you must use longer length than your usual strap, around 10-20mm longer for long piece.